Even though I am 64 now, I programmed my first computer at age 13 i.e. in 1964. It seems impossible to imagine, but because of a resourceful school teacher and unique circumstances, it is true. 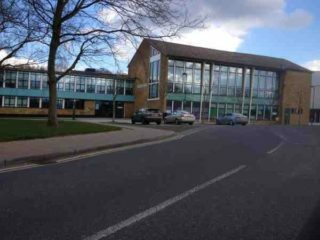 I attended Hatfield Technical Grammar School, commonly referred to as just Hatfield School in College Lane, from 1962 to 1969. 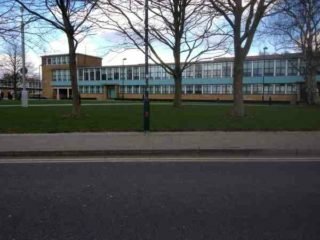 The photos below show the school as it is today i.e. The Hutton Hub, part of the University of Hertfordshire. The structure of the school is unchanged from the 60’s, and is exactly as I remember it. The building is almost certainly named after Dr. Hutton, the school’s headmaster for most of the time I was there. Behind the music room, the leftmost part of the building, middle floor, was most importantly, The Tuck Shop! Radio Chemistry. This small laboratory was for the study of the chemistry of radio-active substances (Yes, really! It’s impossible to imagine nowadays). As well as the usual metalwork and woodwork shops, the school also featured an engineering workshop that would shame many modern medium sized businesses. With many lathes, pillar drills, electric hacksaws, bench grinders, milling machines as well as a fully equipped forge. The other thing that the school had was a swimming pool, and it was this that provided the mechanism for the study of Computer Science. 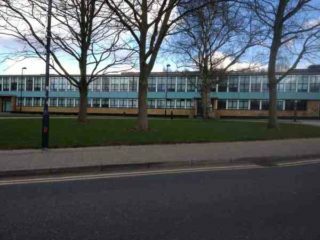 The connection is not at all obvious, but the Hatfield Technical College, subsequently Hatfield Polytechnic and now The University of Hertfordshire, had a computer. This was a then state of the art Elliott 803b. As can be seen this was no small piece of kit, occupying a largish room and comprising 4 central processing cabinets, 3 magnetic film transports (not 4 as shown in this photo), 2 punched tape readers, 1 tape punch, a control console, and 3 teletype machines. Its control console was a very simple affair. 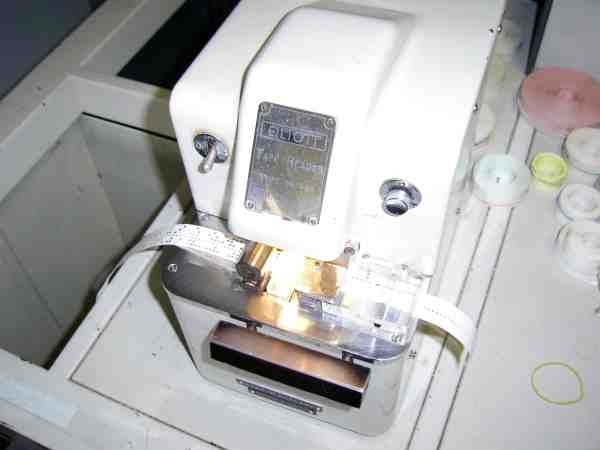 Most input was performed using the tape reader. The magnetic film transports were unusual. We have all seen 1/2″ magnetic tape drives in old science fiction movies, but these were different. Imagine opening your old 35mm film camera and taking out the film. It has sprocket holes down both sides. Well, these transports used film like this except that it was coated with magnetic material, and each spool contained about 1800 feet of film. They were stored in metal canisters and were very heavy. Since the college at that time didn’t have a swimming pool, a very resourceful Maths teacher, Mr W. Tagg (I believe the W was for William and he was known as Bill as I recall) negotiated with the college, that students would be able to use the pool at certain times, if our pupils could have supervised use of the computer, and so the Computer Science course was devised. I fell in love with the technology straight away, and used to visit the computer suite in my lunch times. I got to know the data centre manager quite well. Although my memory on this is a bit flakey, I recall that his name may have been Mr Crocker (perhaps someone may remember, and correct me if I am wrong). He started to teach me at 12 years old how to run jobs on the machine, and once I was proficient enough, I was able to run jobs for the students while he was on his break. I taught myself to write programs for this machine, and soon had it playing tunes. A program loop on this machine produces a tone from the console speaker which varies in frequency according to the length of the loop, so by writing a program containing a series of loops each of an appropriate length, you could get it to play any tune you wanted. 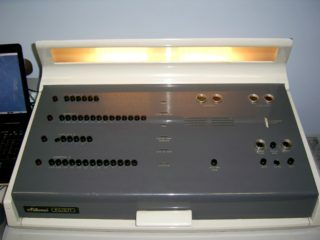 All input to the computer was either keyed directly in via the console, or loaded via paper tape. Output from the computer, the results, were punched out on paper tape, and had to be run through a teletype tape reader to get printed output. The college managed to purchase a BASIC compiler for this computer. This was a really BASIC BASIC, as far removed from modern equivalents like Visual Basic as you can imagine. However, it was this that pupils used to study the art of computer programming, under the careful eye of Mr Tagg. 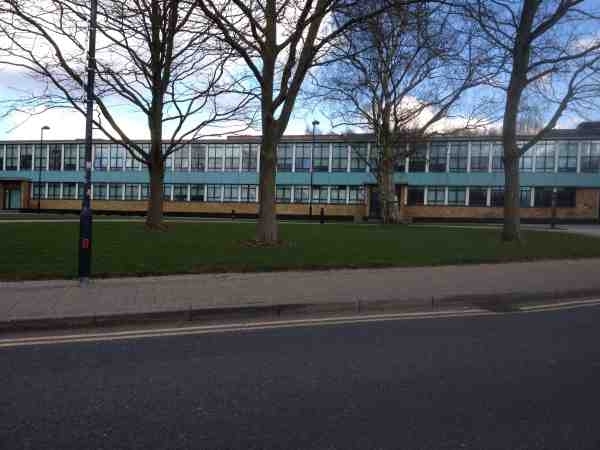 Hatfield School was the VERY FIRST secondary school in the country to offer Computer Science to A Level. I believe that I was one of the few pupils who were the first in the country to take (and pass) that exam. My program was written in Algol 60. This compiler was a later acquisition by the college. However, to this day, I am still disappointed that I only got a ‘B’. I’d love to know what I could have improved. Nevertheless, I have spent my entire working life in the Computer industry. It has taken me all over the world, and given me a good living. I owe all this, and give my thanks, to the amazing Mr. Tagg, Dr. Hutton and other staff at the school. It also pays tribute to the far sightedness of the education establishment in Hertfordshire at the time. Hi David, I was there 1964-1971. I too had a career in computers and have travelled the world thanks to the inspirational work of Hatfield School. I was there when they replaced the 803b with a PDP System 10 which I used for my A-level. I well remember the Elliot 803. I was at the school from 1959-1966 and spent a lot of time programming this machine in Algol 60. I did not take A-level computer science but enjoyed learning what was then a very new subject for fun. Indeed, Bill Tagg was such a good and enthusiastic teacher and I shall not forget how much he did for me. Hello David, What a lovely detailed piece you have written. I so remember you running around with punch tape and punch cards (as well as collected all the little punched bits and putting them down our necks!!!). But you made the computer punch our names on the tape, which we thought was amazing at the time! You, and I think Stephen Dumpleton were always trying to explain it all to us. Of course my sister Moira was the mathematician, and she got to do all this the following year. It’s so good to hear that you are well. Are you still in the area? I should write some memories of my own, but not today. If you use Facebook, look for the group called Hatfield of Yesteryear, which you will find fascinating, but I am also in that group. Lorna Bain (now Joy) PS We were there 1963 to1970 actually, I think you miscalculated that.